Discussion in 'Mud Hunnies' started by TreeSaw, Apr 26, 2009.
hours, before we BBQ and then we'll hit the trails for an all ability MTB Ride. food for the BBQ. 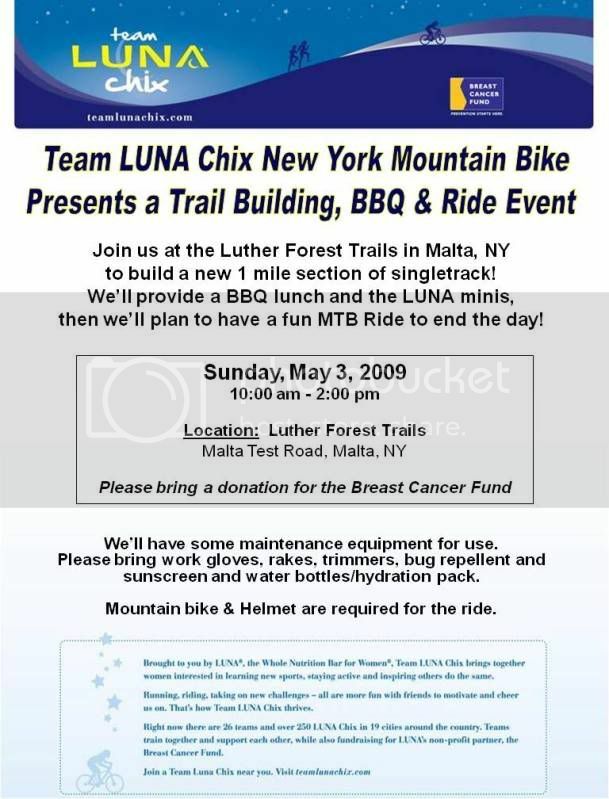 Please bring a donation to the Breast Cancer Fund as well as work gloves, rakes or trimmers, water bottles or hydration pack sunscreen and bug repellent. 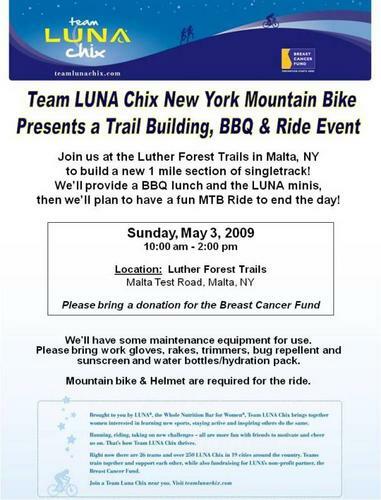 Helmets and Mountain Bikes are required for the trail ride.